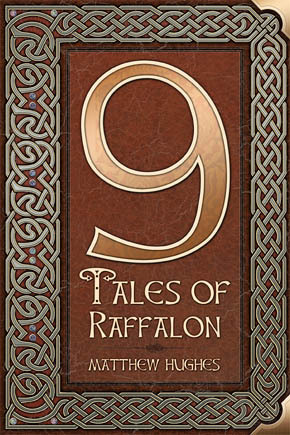 Over at the Archonate, where Matthew Hughes can be found, you can now get his collection 9 Tales of Raffalon as an eBook for the introductory price of just 99¢. 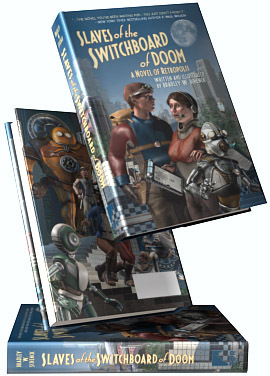 Seven of these stories have appeared previously in The Magazine of Fantasy and Science Fiction; one (The Inn of the Seven Blessings) was written for the Gardner Dozois/George R. R. Martin anthology Rogues; and one (the novelette Sternutative Sortilege) is seen here for the first time. It’s a surprisingly long collection, as large as a novel, and since I’m the guy who just formatted it you can believe that I know what I’m talking about. I also got to do the cover for this one – you can see it here. Like several of Hughes’ recent works this one takes place after the Universe has completed its transformation from a realm of reason into one ruled by Sympathetic Association – which we might know better as “magic” – and which, in that state, bears a strong resemblance to Jack Vance’s Dying Earth. As always with Hughes, highly recommended. Go get one for less than a dollar! 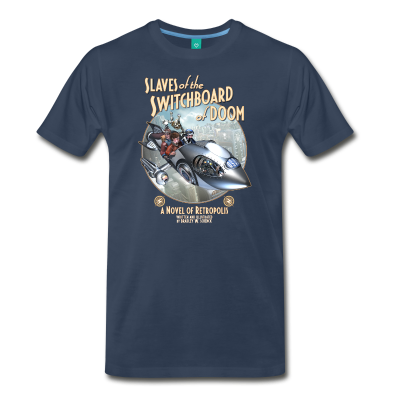 We’ve just passed the two-month mark in the countdown to Slaves of the Switchboard of Doom; so the great gears of the publicity machine have begun to turn and grind away at last. The thing you want to know first is that Tor Books has started a giveaway over at Goodreads. Ten lucky readers will get their very own copy of the book for the low, low price of absolutely free! Just enter (up until May 15) for your chance to win one of the ten hardcover copies. Still not sure whether you should spend your hard-earned no dollars at all on the book? Well, it’s now available to book bloggers through NetGalley, and that means new reviews: highlights include this review at The Review Curmudgeon and Brad K. Horner’s review at Goodreads. So go read ’em; I know you listen to those guys more than you listen to me. In the weeks ahead we can look forward to more. I have a guest post and an interview that will be appearing soon, and I’m told there will be more of that before the book’s release on June 13. So now that you’re completely sold on the book I’m sure you’ll want your very own poster or T-shirt featuring the cover (or, as we see above, the original cover concept.) Because, honestly, who wouldn’t?